It's hard to believe I'm a mother now. Motherhood is a good excuse for my lack of posts lately. Yes, I made it to 40 weeks of pregnancy. My precious baby boy was born at 40+4 (on the 3rd of February weighing 7 lbs. 8.5 oz.) and, believe it or not, he's 7 weeks old now!! He's the cutest thing in the whole world and sometimes I catch myself "wasting" hours on end just staring at him, holding his little hands, and having a one-sided conversation with him. He is the biggest blessing. I'll probably be MIA for a while because I haven't yet mastered the art of multitasking with a newborn—you should see the chaotic state my house is in right now—but for the time being, I'll leave you with Baby Ethan's one month update, seeing as his two month update will be here in a week and a half. 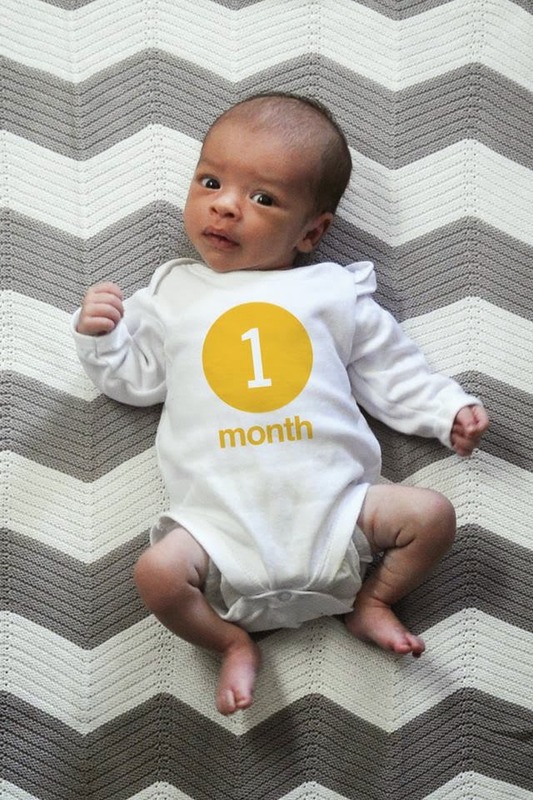 I’m 1 month old now! I weigh 8 lbs. 2 oz. I can hold up my head on my own, I have strong legs that I love to kick, and I’m alert more of the day now. I hate getting my nappy changed, but I love taking baths! When I’m sleepy, I close only one eye so I can keep exploring with the other!